Hello again StellaBella Fans, and a great big Welcome to my favorite season, Fall! I must be honest - I'm really grasping at straws when it comes to posts these days. I have come up with so many space saving solutions, and customized ideas for our home in its first year, but it looks like the Pari-Stella Love Loft will not be our love nest for much longer. Sad, I know - but sometimes you just have to let go & move on. I always aim to keep my online communication and social networking very positive and upbeat, so when it came to our current circumstance - well there just wasn't anything nice to say! I may be a late bloomer when it comes to living with a partner, and all of the adjustments that come along with that - but it was a total priority to make a beautiful Brooklyn home for us, from the very beginning. I am going to go back to the drawing board in 2013. And if there is a story to be told along the way, this is the place for me to tell it! With the buzz of excitement surrounding the new Barclays Center across the street, (depending on how you feel about rust) - I love spending an afternoon running errands at The Atlantic Center. Not only am I a huge Target fan, but I can't say enough about the great designer collaborations that they have cultivated over the years! On my most recent trip, I came across the latest. 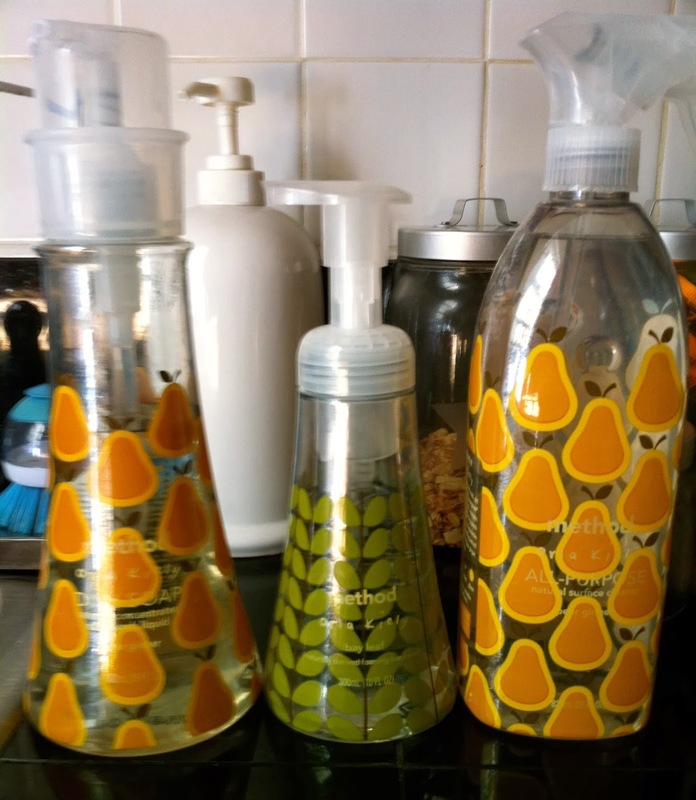 The modern cleaning product line, Method came out with an exclusive line of Orla Kiely products! Oh, I love when worlds collide! With 4 scents: Primrose, Vanilla Chai, Bay Leaf and Pear Ginger - I just had to come home with more than one! If you are lucky (still searching for the Pear Ginger All Purpose Spray), you can still get your hands on these great everyday products that will make you smile, while keeping those hands & surfaces clean!